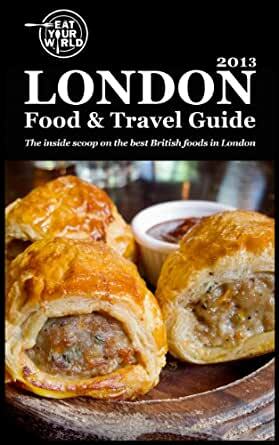 Eat Your World’s London Food & Travel Guide is the first in a new series of eBook destination guides from Eat Your World that spotlights a region’s best traditional dishes and drinks. For this edition, readers are directed to 38 quintessential foodie experiences in London, a city that’s not often celebrated for its food—but should be. Unique, delicious culinary traditions abound in the British capital, but how do you find them? And just as important, how do you avoid the tourist-clogged rip-offs? Knowledge is power, and that’s true in the pubs, restaurants, and markets of London—the ones you should be eating in. For this guide, Eat Your World identifies great British dishes in restaurants, pubs, and markets where Brits still eat, shop, and drink. Tradition figures prominently—there’s the wonderful pie-and-eel shops of the East End, the sweet and buttery 18th-century breads—but so do the typical things that locals eat regularly today (bacon butty, anyone? ), as well as those oddly named dishes every visitor must try. This guide also pays heed to those chefs, producers, and pubs making an effort to rewind the country’s gastronomy back to its core basics—wild game, local/seasonal ingredients, nose-to-tail preparations—and explores the new wave of local artisanal gins and microbrews alongside real ale, that pub standard. The resulting spread is as appetizing as it is reputation-busting. Eat Your World (eatyourworld.com) is an original online guide to regional foods and drinks around the globe. Launched in December 2011, the site identifies and contextualizes a destination’s traditional, indigenous, and locavore foods and tells readers exactly where to find them, as well as How to Burn It Off (activity tips) and Where to Stay (hotel suggestions). Broader food and travel stories can be found on the EYW Blog, including recipes and trip narratives. With more than 35 destinations covered, the site employs extensively researched editorial content, professional photography, and interactive maps. 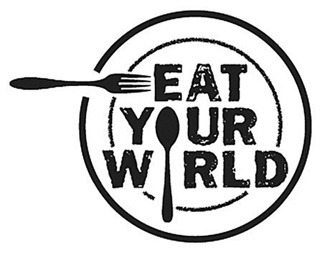 Eat Your World also fosters a community of like-minded eaters and travelers by inviting readers to upload their own local-food photos and stories to the site. 3.0 out of 5 starsGood but not great! Could have been more specific about places to visit and places to stay. We missed the detailed info that packs a better known guidebook. 5.0 out of 5 starsExcellent resource for local, traditional food! I am a frequent visitor of eatyourworld.com and was quick to download their London city guide for a recent trip. It is an excellent resource for local, traditional food- their research is thorough and thoughtful. And the photos most definitely entice you to seek out the delicacies that they have uncovered. Many Thanks EYW, I'll be back for more! As a London resident who has a lot of visitors to the city (mostly from the States), I highly recommend this guide. It gives a great overview of authentic London and it's clear these guys did their research. The stereotype of poor, English food is long dead! London is one of the ultimate food capitals of the world and this book gives you a great panoramic of all this city has to offer.